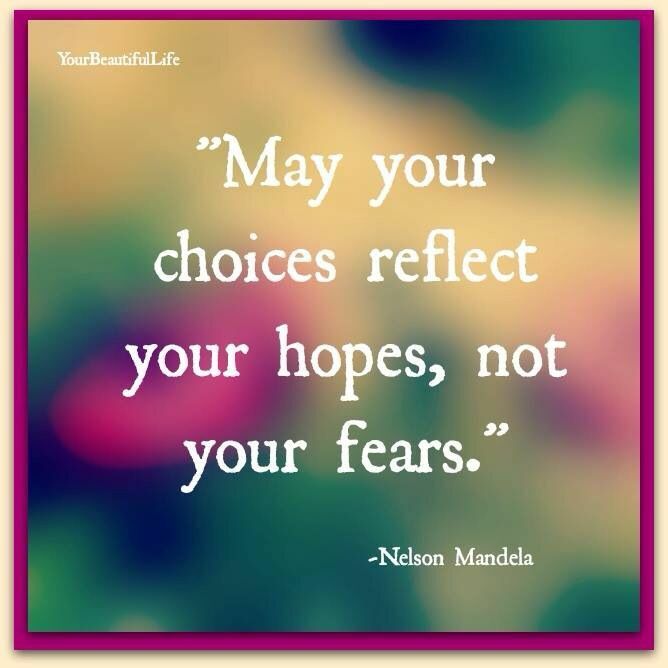 Please enjoy these famous quotes about choices that will inspire you to know that you have the power to shape your life with every new choice you make. "Empowerment is being aware that there is no one to blame for my choices and actions; that I have a personal choice and responsibility for my life." "Happiness, like unhappiness, is a proactive choice." "There are two primary choices in life: to accept conditions as they exist, or to accept responsibility for changing them."" "Always go with the choice that scares you the most, because that's the one that is going to require the most from you." "Our lives are fashioned by our choices. First we make our choices. Then our choices make us." "Sometimes you make choices in life, and sometimes choices make you." "Freedom of choice is more to be treasured than any possession the earth can give." "The hardest choices in life aren't between what's right and what's wrong, but between what's right and what's best." "Life is all about making choices. Always do your best to make the right ones and always do your best to learn from the wrong ones." 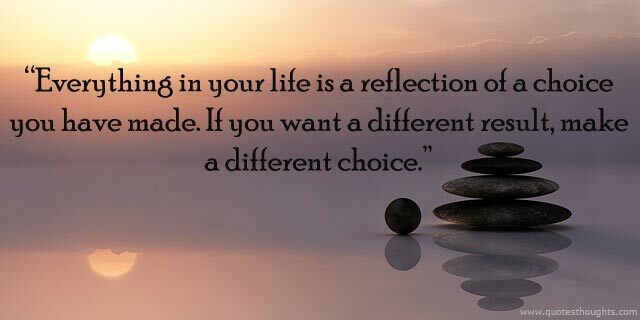 "Everything in life is a reflection of a choice you have made. If you want a different result, make a different choice." "Sometimes the wrong choices bring us to the right places." "Sometimes good people make bad choices. It doesn't mean they are bad people, it means they're human." "In life you have 3 choices; give up, give in, or give it your all!"